Looking for a fun and easy Easter art project? 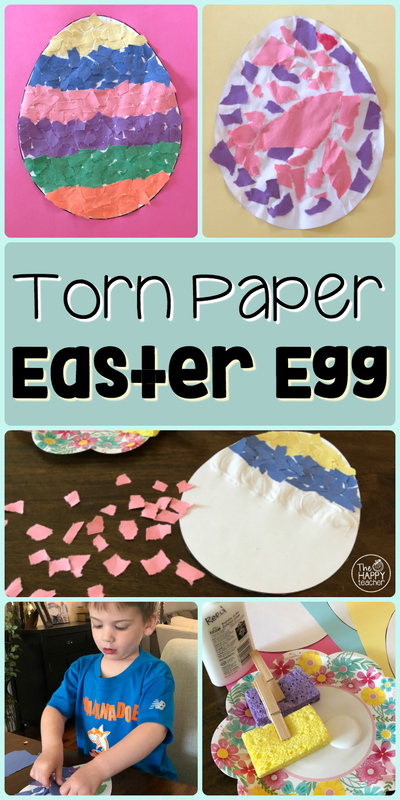 I love the way these torn paper eggs turned out! 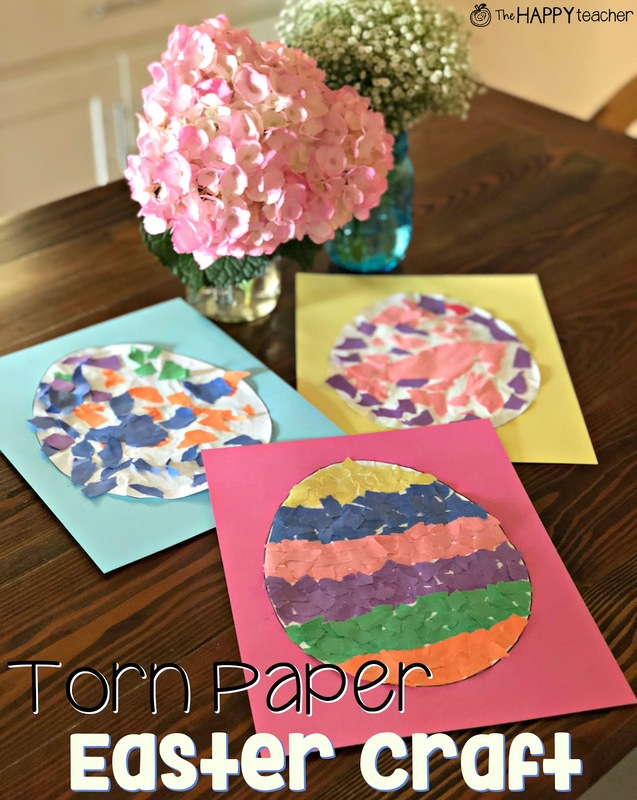 Tearing and ripping paper is great for tiny hands and fine motor skills. This art project is great for toddlers, preschoolers, and even elementary kids. Elementary students can create mosaics, color patterns, and creative designs. 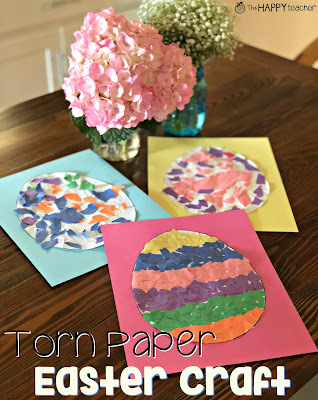 Younger students will enjoy tearing the paper to make pieces in various shapes and sizes. 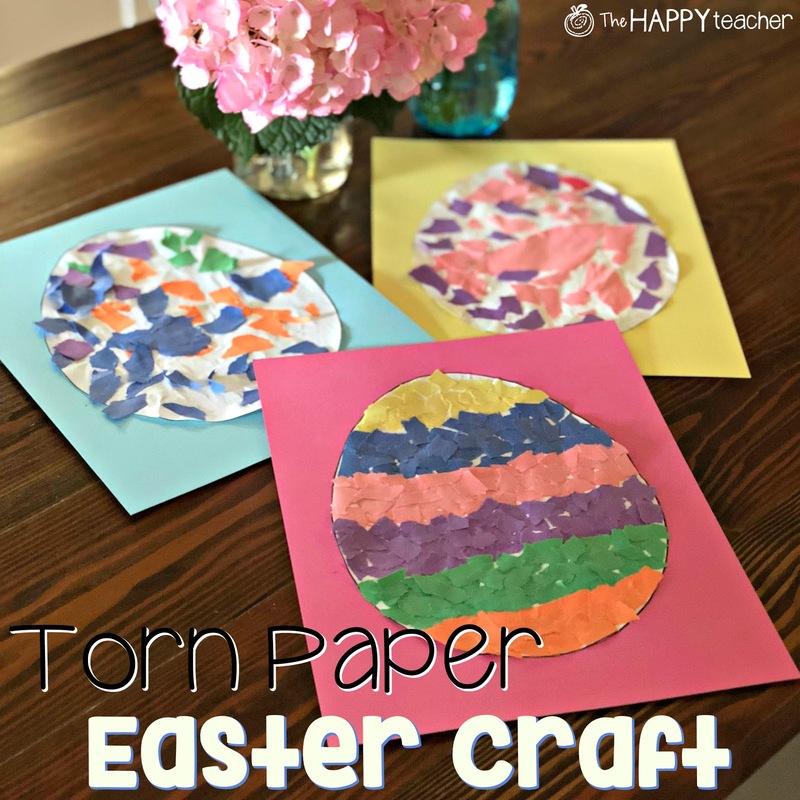 Mount the torn paper egg on a piece of card stock for a beautiful bulletin board display. 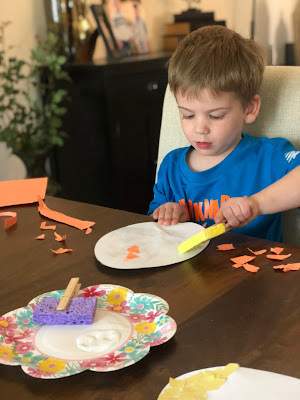 We used glue sponges for this craft. Elmer's glue and a paintbrush or sponge brush would also work well. Jack using the glue sponge to adhere all of his orange torn paper. Tearing paper requires strength and endurance of the muscles in the hands. For preschoolers, this project is a perfect combination of fine motor skills and art! I'm not great at free handing ovals, so I googled "printable egg template" and lots turned up! Thank you, Google! Love how bright and beautiful our Easter eggs turned out! 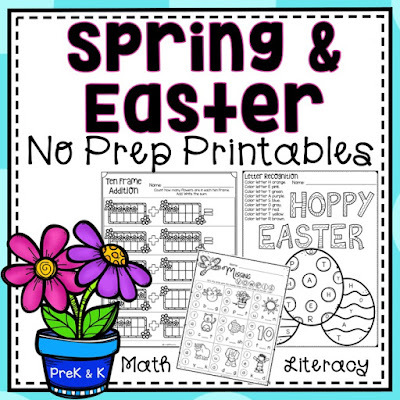 Be sure to check out Spring and Easter fun-filled learning... Includes math and literacy activities. 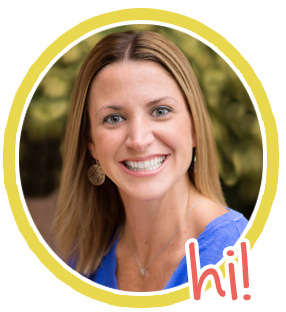 Perfect for PreK and Kindergarten students during March, April, and May!